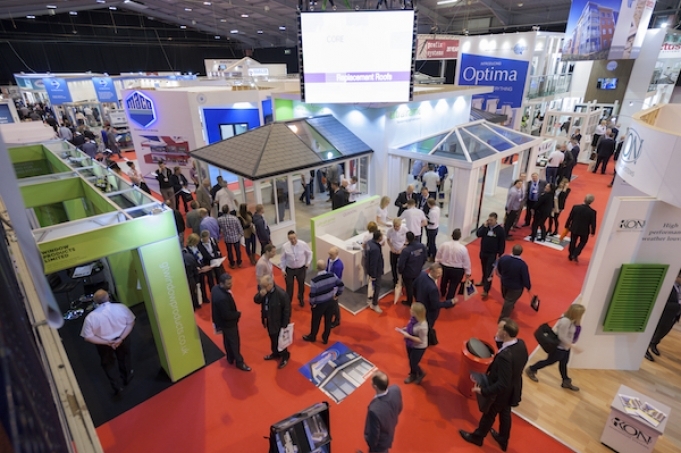 It doesn’t seem possible that this year’s FIT Show – and all the hard work that went into it – finished a fortnight ago. I run the marketing here at Roseview and I’ve spent most of the last six months focused on (or – more accurately – worrying about) those three short days in April. But what an incredible three days they turned out to be! 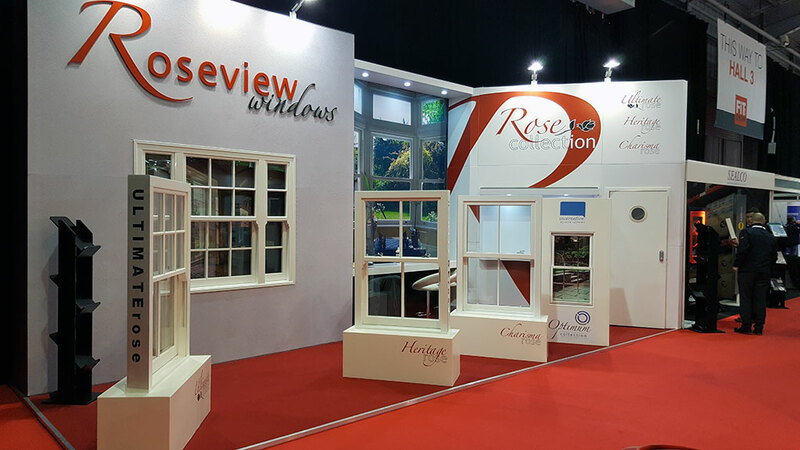 Roseview have never exhibited at a show like this before, so it was all uncharted territory. And when I signed up for a plot in the corner of Hall 2, I had no idea just how much work goes into putting together what is effectively a three-day shop front. From selecting a stand builder and designing our stand, through staffing the show and making sure we all had somewhere to stay, to trying to work out how many brochures and goodies to order and take, I had no idea that there was so much to think about. What I did know is that we had booked a great location visible from the entrance to Hall 2, so we needed to make the most of it. And when you make windows that look as good as ours, it seemed obvious – let the windows speak for themselves. So that’s exactly what we did. Fast forward several months to 10am on Tuesday 12th April – the first day of the show. The stand looked amazing – better than I’d dared to hope for. The store cupboard was stuffed full of brochures, pens and pads, ready to be handed out. The coffee machine was on and ready to go. And the five of us (myself, Richard, Willie, Paul and Graham) stood nervously on the stand wondering whether anyone would visit us, or would they all walk straight past. From the moment the doors opened we were swamped, straight through until two or three o’clock. I couldn’t believe the response we were getting. All of us were flat out, and there were regularly queues of people waiting to see the windows and talk to us. It started to slow down mid-afternoon, and we all just looked at each other in amazement. We had no idea that we’d be that busy. And that was just the start of it; the Wednesday was even busier – although at least we were more prepared for the rush. It wasn’t until Thursday that things evened out, and by that time we were shattered (although that’s partly down to the Gala Dinner the night before!). After the show closed the organisers announced that visitor numbers grew from 5,800 in 2014 to 8,500 this time – and increase of almost 50%. I can believe it! It’s testament to a great trade show, and the fantastic work put in by the FIT Show team and all the exhibitors. Everyone worked very hard to get people to come to the show, and clearly it worked. It was great to see the stand so busy throughout the show, but better still was seeing and hearing the reaction to the two new products we launched. In the build-up to the show a lot of companies announced new product launches. Some promised to be “game-changing”, others were “revolutionary”. In the face of all that, we decided not to make too much of a song and dance – when everyone’s shouting the same thing, nobody gets heard. Instead, we chose to keep things quiet, keep the new products under wraps, and let people discover them when they visited our stand. 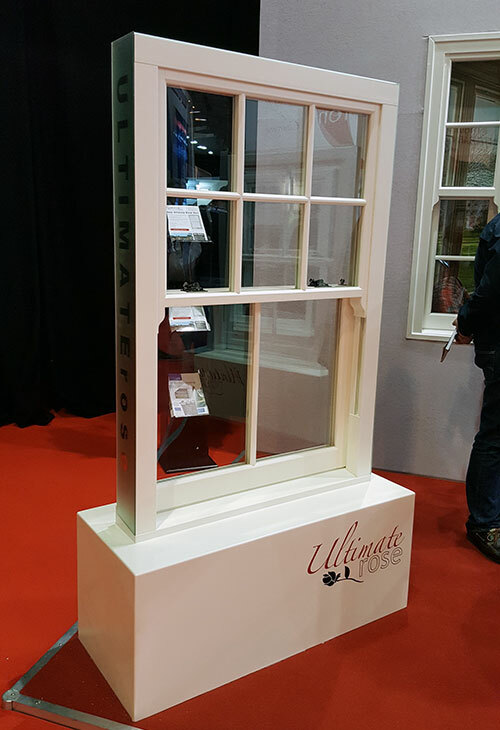 First of all we previewed our brand new Ultimate Rose II sash window. I won’t go on about it here as we’re launching it to everyone this summer, so you’ll hear a lot more about it in the next couple of months. 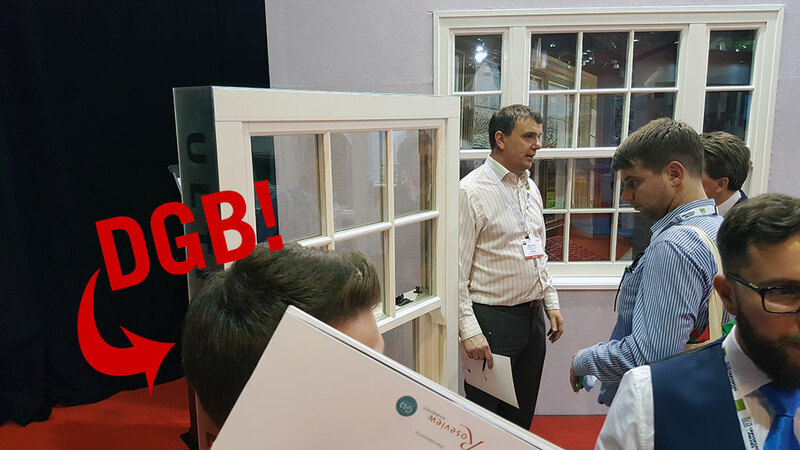 However, suffice to say that the reaction to the new window – and particularly the industry-leading 35mm slim meeting rail – was absolutely incredible. The consensus of opinion was pretty clear – you can’t tell it apart from a timber sash window. The other new product was a range of aluminium secondary glazing from our sister company Incarnation Windows. We believe that it’s the first newly designed secondary system for over thirty years, and it got plenty of interest. 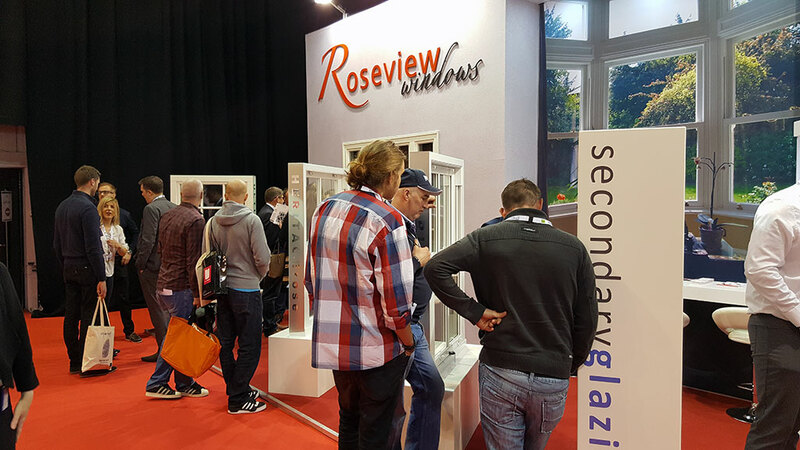 We’ve known for a while that secondary glazing is undergoing a resurgence, and it was great to see that confirmed by people’s interest. To find out more about our new range of secondary glazing, contact our colleagues at Incarnation. After all the excitement and effort of the first two days of the show, it was great to let off a bit of steam at the Gala Dinner on Wednesday night. And while I may complain about how much work went into our stand – I can’t begin to guess how much went into organising an event like that for 900 people! The event was spectacular. There were dancers, acrobats, fire eaters, very tall stilts and an awful lot of feathers. The beer and wine (and champagne!) flowed, and – as always happens at big events like these – the industry really let its hair down. Congratulations to all the prize winners on the night, and a big congratulations to everyone for raising a lot of money for GM Fundraising. The FIT Show was very successful and a lot of fun. As a company we couldn’t have hoped for a better result, and – two weeks later – we’re still getting in touch with all the new contact we made. It was great chatting face-to-face with so many of our existing customers and friends, as well as meeting new people. I learned a few lessons before and during the show (chiefly, don’t take so many promo pads – they weigh a ton! ), and my feet were killing me by the end of the three days, but I loved every minute of it. If you haven’t been to the FIT Show before, I strongly recommend you give it a go – you won’t be disappointed. We’ve already reserved our plot at the next one in the NEC in May 2017, so hopefully we’ll see you there!